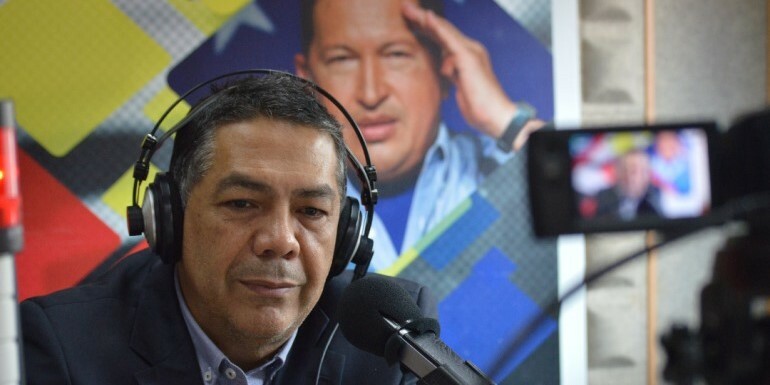 The Vicve-minister of International Communication of the People’s Power Ministry for Foreign Relations, William Castillo, denounced on Monday an illegal operation carried out by Migración Colombia against a group of migrants from the Bolivarian Republic of Venezuela. In the Bolivarian Diplomacy program, conducted by Radio Nacional de Venezuela, he warned that the maneuver of the Colombian agency is part of the international pretensions to sabotage the Plan Vuelta a la Patria, an unprecedented repatriation program that the Venezuelan government is executing. “There is an intention to sabotage the Plan Vuelta a la Patria, to take its importance away, it is a plan that has set and is an overwhelming international demonstration of the concern of a government for its citizens in a situation of vulnerability abroad”, he said. The Vice-minister of International Communication said that the operation of Migration Colombia has consisted in forcing Venezuelan migrants to sign a document against their will, by which the reasons that motivated their mobility are distorted. In the same vein, he questioned the announcement made by the government of the Republic of Chile to repatriate some 200 nationals from Venezuela, after a group of approximately 100 Venezuelan returned to the Bolivarian Republic from the southern nation. “It is a propaganda political operation”, he said. On other issues, Vice Minister Castillo analyzed the international strategy that has been developed against Venezuela, which seeks to create a scenario that encourages the diplomatic isolation of the oil country. In this regard, he stressed the failure of the harassment plan that, as he says, has been designed by the government of the United States and is executed by the so-called Lima Group, mainly by the Colombian regime. “Systematically, Venezuela has been dismantling that strategy for a fundamental reason: the strategy of the Diplomacy of Peace is rooted in the truth, in the reason, in the historical truth and in the truth of Venezuela; In the foreign relations strategy of our country, we are not lying, we are not trying to take advantage of the international community as other countries do to obtain resources”, he said. The Vice-minister of International Communication also denounced the diplomatic boycott that is being forged against Venezuela starting on January 10 when President Nicolás Maduro assumes his new term for the 2019-2025 term, after his re-election on May 20.